TRENT DIVESTMENT WEEK! | Advocating for sustainability and environmental justice. 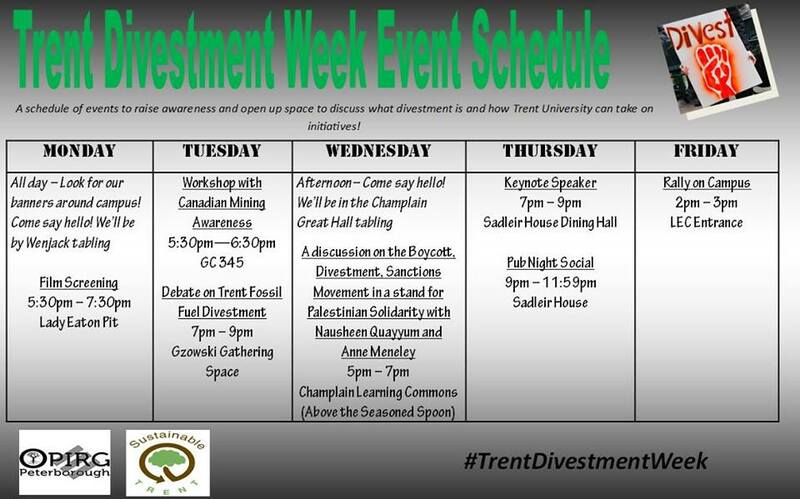 Check out our schedule of events for Divestment week at Trent!